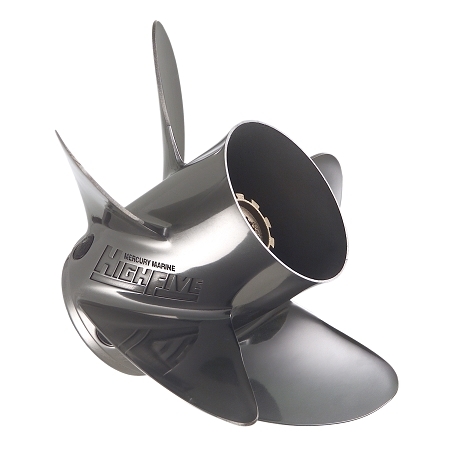 Five stainless steel blades deliver the power of your outboard or stern drive to the water in any condition. The HighFive also has a loyal following among freshwater fishermen who fish in rough water. HighFive will stay hooked up when the going gets rough. Most popular outboard or stern drive watersports towboat propeller. If engine RPM's are good with a 3-blade prop, replace with same pitch HighFive.